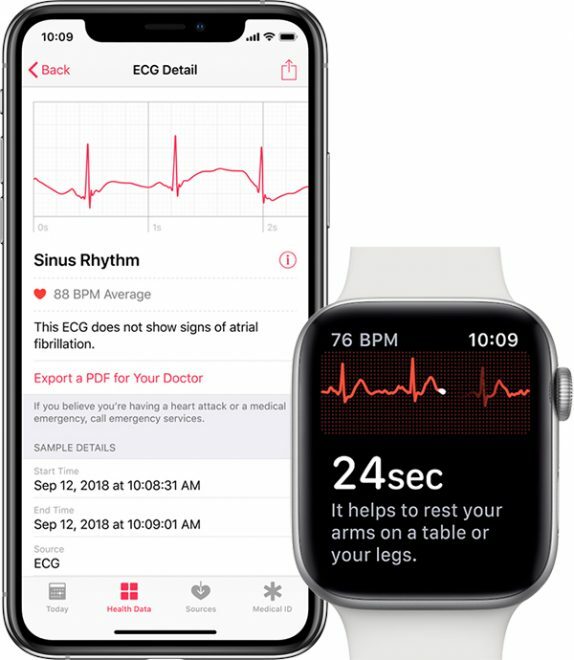 As expected, Apple has officially announced that it will roll out watchOS 5.1.2 update starting today that will bring the Apple Watch Series 4, an ECG app that lets customers take an electrocardiogram right from their wrist, capturing heart rhythm in a moment when they experience symptoms like a rapid or skipped heart beat and helping to provide critical data to physicians. 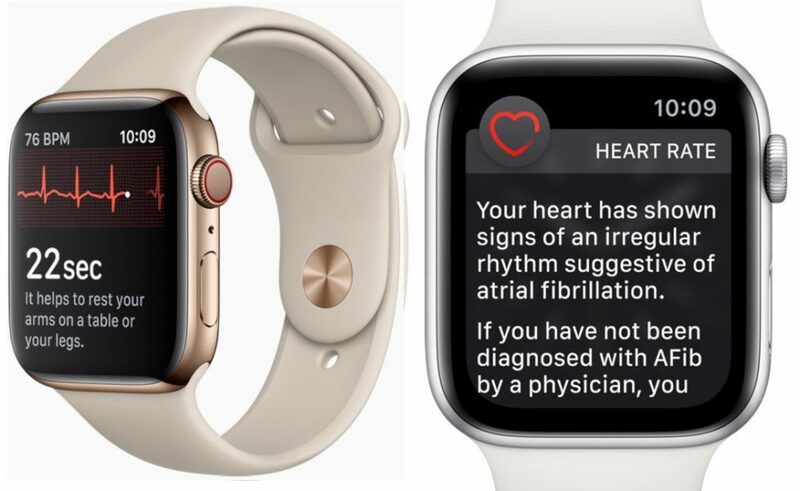 The irregular rhythm notification feature on Apple Watch can now also occasionally check heart rhythms in the background and send a notification if an irregular heart rhythm that appears to be atrial fibrillation (AFib) is identified. Apple already said that it worked with the Food and Drug Administration (FDA) for a number of years to receive De Novo classification for the ECG app and the irregular heart rhythm notification. New electrodes built into the back crystal and Digital Crown on Apple Watch Series 4 work together with the ECG app to enable customers to take an ECG similar to a single-lead reading. To take an ECG recording at any time or following an irregular rhythm notification, users launch the new ECG app on Apple Watch Series 4 and hold their finger on the Digital Crown. As the user touches the Digital Crown, the circuit is completed and electrical signals across their heart are measured. ll recordings, their associated classifications and any noted symptoms are stored securely in the Health app on iPhone. Users can share a PDF of the results with physicians. Apple Watch Series 1 or later get the irregular rhythm notification feature using the optical heart sensor that will occasionally check the user’s heart rhythm in the background for signs of an irregular heart rhythm that appears to be AFib and alerts the user with a notification if an irregular rhythm is detected on five rhythm checks over a minimum of 65 minutes. The watchOS 5.1.2 update will roll out to all Watch users in a few hours brining these features.